Apple is in the run of being the biggest player in the market when it comes to your car’s operating system. And as far as I am concerned, I feel like Apple is going to beat all it’s future competitors. Carplay is announced to be integrated in Volvo cars, Ferrari’s and Mercedes-Benz cars. It means that drivers will get a better driving experience through the possibility of working with your iPhone through your dashboard – without distraction! In the Carplay, Siri will be activated, which means you can just tell the iOS what to do, so you can keep your eyes safely on the road. For example: you can tell her to play your favorite song or send a message to a particular person. 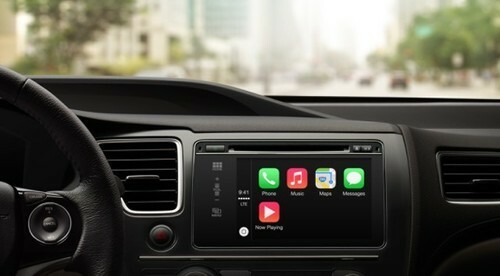 Apple’s Carplay is the beginning of a whole new driving experience. Check the video below to see Volvo’s advertisement of Apple’s Carplay!